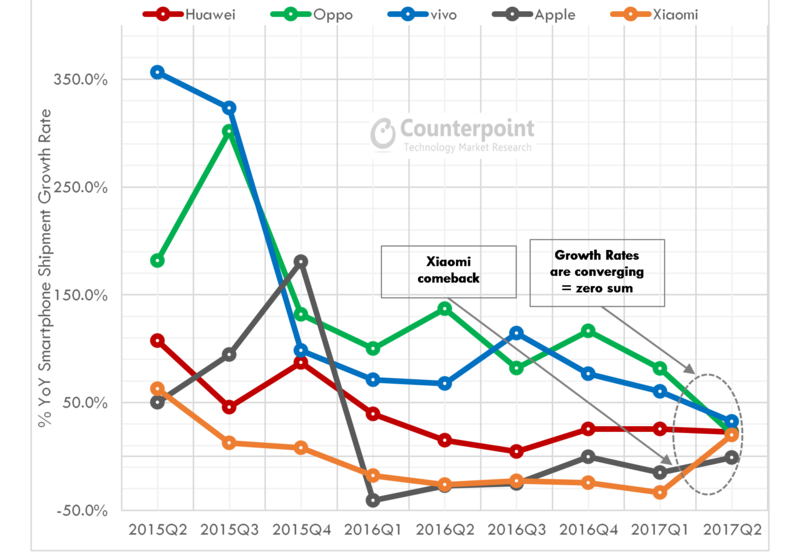 According to the latest research from Counterpoint’s Market Monitor service, the smartphones shipments in China grew a modest 3% annually during Q2 2017 (Apr-Jun), registering second consecutive quarter of annual growth this year. 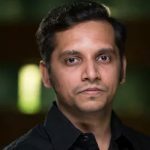 Sharing insights on the growth prospects, Research Director, Neil Shah noted, “We are nearing the time where the days of easy growth are over for Huawei, OPPO, vivo and Xiaomi in China. The competitive landscape is converging as all the top four Chinese brands have reached a steady and dominant position in a very slow growing market. The race for the top two spots is always up for grabs as one misstep can push a brand easily two spots behind.